Bring up the word balance and visions of gym goers performing circus tricks on a stability ball is probably the first thing that pops into your head. 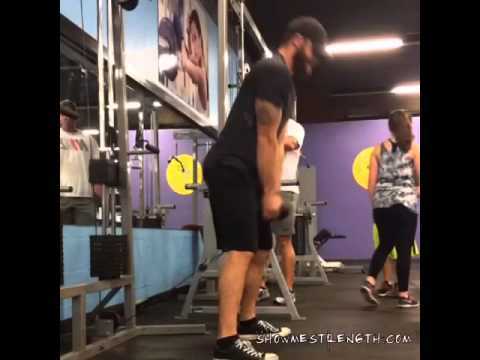 Balance training is not doing bicep curls while standing on a Stability ball or channeling your inner Cirque du Soleil in front of the dumbbell rack. Balance training is more about correcting strength imbalances between our left/right sides and muscle imbalances from opposing muscle groups. Save the circus tricks for the professionals. During my early meathead days, I focused on the big 3(squat, bench, and deadlifts) but this came with a price. Through a combination of poor programming, ego, and bad technique, I developed strength imbalances and lots of niggling injuries. Instead of lifting, I spent way too much time in the Physical Therapists office lifting pink dumbbells, doing unnatural things to stability balls and being wrapped up with bands. Trust me, this not as much fun as it sounds. The better balanced you are, the less likely you’re spending time in the PT office and more likely you’ll have a better performing body. That’s a win-win for you and your big 3 numbers. Use a couple of the following tests to see how balanced you really are. Hamstrings should have between 60 % – 75% the strength of the quadriceps. This ratio has been discounted in some circles but I feel it’s a good starting point. You don’t need fancy equipment for this test, just access to a leg extension and leg curl machine. Work up to your 5 repetition maximum on both machines, testing one leg at a time with good form. Rest 3 minutes between the quad/hamstring test and rest as needed between attempts. Record numbers for both machines, and then its math time. For example 60/90 x 100 = 66% Hamstring/Quadriceps strength ratio. Work in the higher repetition ranges (12-15) to groove and master the exercise pattern before worrying about adding too much extra weight. Retest this in 4-6 weeks and admire the results. Single leg balance is probably the most overlooked factor in training, and it’s fundamental to almost everything we do. Walking, taking the stairs or playing your favorite sport all involve single leg balance to some degree. If it’s important in our everyday life, it’s important enough to train in the gym. In Dan John’s book, “Can you go?” he suggests balancing for less than 10 seconds on either leg is a cause for concern, and there may be an underlying medical condition. Grab a stopwatch and see if you can balance between 10-20 seconds on both feet. If you’re between 10-20 seconds, work on your ankle mobility to see if that helps improve your balance. However, if it’s less than 10 seconds, take Dan’s advice and go see your doctor. It may just save your life. Most of us have strength imbalances between sides due to activities of daily living. For instance, I carry the groceries in my left hand so I can use my keys to open the door with my right hand. Over time, my left side has become stronger than my right. 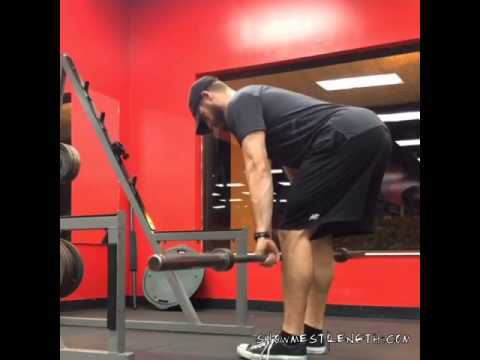 Rather than feeding this imbalance with barbell exercises, unilateral work will turn this weakness back into a strength and your lifting numbers will improve as a result. 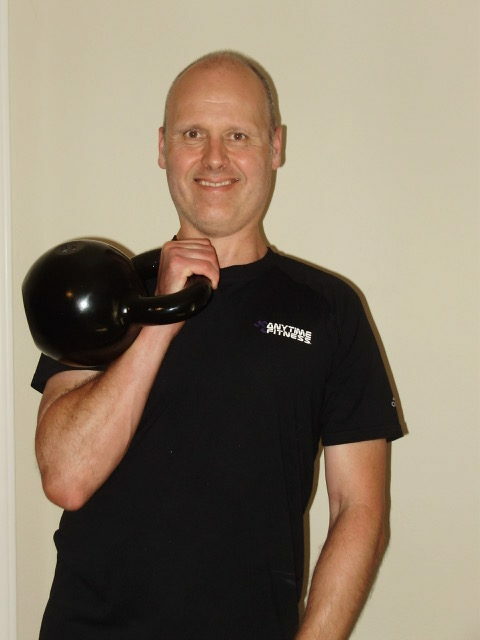 Note- Core strength will be a factor in unilateral upper body work. You cannot get enough core work, in my humble opinion. I chose the cable single chest press/row for this test. 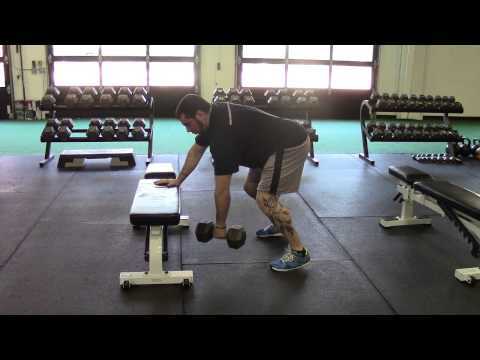 However, any dumbbell unilateral variation will do. 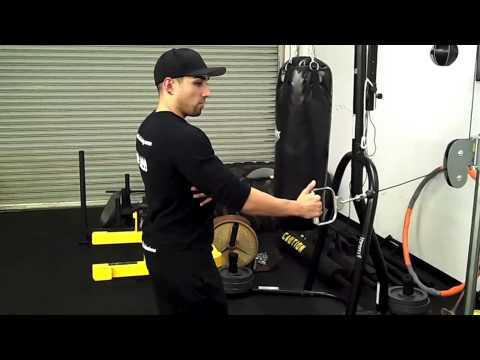 After warming up, work up to your 5 RM on the cable row, alternating arms and working with good form. Progress by raising the weight 5-10 pounds at a time. Rest when needed, especially when the weight starts getting heavy. The test stops when you can no longer lift the weight (or it’s a mighty struggle) for 5 reps on either side. Do the same for the cable chest press. 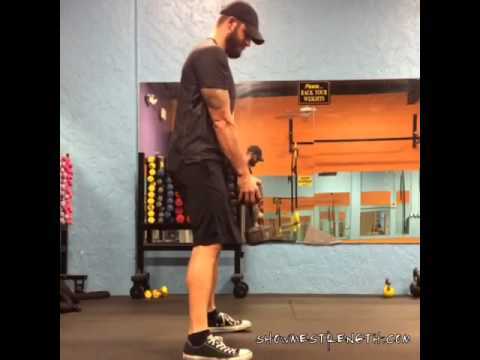 After completing this test, it should become apparent whether or not you have a strength imbalance between your left/right sides with the press, the pull or both. If this is the case, start plugging more unilateral pressing and pulling exercises into your current routine. Do this a couple of times per week and start with the weaker side first. Let your weaker side dictate what your stronger side does. 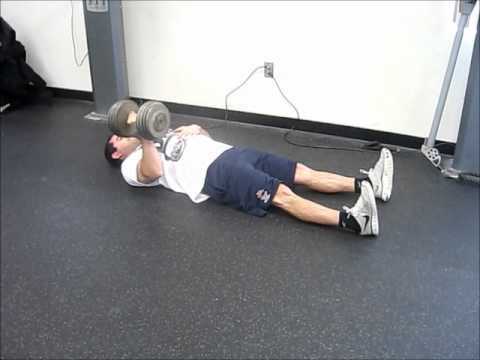 Do this after your strength movement for the day and work in any repetition range (4-6, 6-8, 8-12 or 12-15) you desire, depending on your goals. Super setting these movements works well. Retest this again in 4-6 weeks to see if your body has played catch up. Injuries and strength imbalances happen whether you like it or not, but that doesn’t mean you have to take this lying down. An ounce of prevention is worth a pound of cure. No pink dumbbells and stability balls for you!